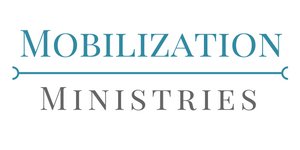 Our Vision is to mobilize the national church to plant churches among this world’s unreached. We mobilize churches in Asia’s 10/40 window by strengthening them to carry out Christ’s Great Commission, by enlarging their vision & partnering with them to plant churches among Asia’s unreached people groups & finally by mobilizing churches in the West to partner with us both prayerfully and financially to achieve these goals. People: We provide supplemental support to national church planters. We partner with churches in a particular region to ensure they take on much of the needed support. Projects: We help meet physical needs that contribute toward an indigenous planted church. For example we have purchased motorcycles for church planters, provided aid in buying land, erected church buildings and have provided seminary scholarships for students. Preparation: Training national workers is crucial to success in church planting. We provide training assistance to indigenous seminaries by sending personnel to teach them on site.